Nothin' To Lose is a diverse album, with songs penned by three family members of the six-piece outfit, and a record that touches on a variety of music genres, while still keeping true to the ethos of the band, which is steeped in their Indigenous heritage. Zennith embrace their diversity, ranging from hip hop, reggae, roots, jazz and even rock. The album tackles subjects which all music lovers will relate to, from walking the fine line between right and wrong to love lost and struggles within relationships. Founding members of The Kumpnee, Josh Gage and Ronnie Lavender have been steadily building up a base of fans in Australia and New Zealand over the past few years and have recently been joined by Gino Hawkins, Stevie Taylor and Huia Ratapu to make up the core of this smooth 5-piece live band. Their sound can be described as a blend of unpredictable urban funk, rap, and soulful harmony, think Outkast thrown into a cauldron mixed with a dash of Gnarls Barkley and a sprinkle of The Black Eyed Peas. They draw on their life experience growing up in New Zealand and living in Australia. SHOOT! Baby (2013) and 2 Bux (2012) - Hit Singles by The Kumpnee. The Kumpnee is a five-piece hip hop, soul and funk band that originated in New Zealand but now calls Sydney, Australia home. Their sound has been described as an unpredictable blend of urban funk, soulful harmony and hip hop, combining electronic synth, live instruments and a raw feel to split genres and form a new sound. They have often been compared to OutKast, Gnarles Barkley and The Black Eyed Peas. State Advanced has been touring across North America (2005-2010) as a member of Character Traits headlining shows and supporting some of Hip Hop's most respected acts (Zion I, Visionaries, Sweatshop Union, Aceyalone and Project Blowed, Buck 65, Classified, Cunninlinguists, Young Buck, Kyprios). After releasing 3 studio records and performing hundreds of international shows he is now living and performing in Australia full time. 28 is his debut EP backed by Aussie funk trio Sloppy Joe. Do you remember SWOOP, the groundbreaking mid '90s popfunk band responsible for songs such as: "Apple Eyes" (one of the biggest Australian singles of 96), "Rock Dog", "Do It", "Neighbourhood Freak" and "Everything I Do From Now On Is Going To be Funky" (all high rotation JJJ staples)? Well, Professor Groove and The Booty Affair is a recent project from the writers, performers and funkifiers that were behind Swoop. Polar Nation released their debut self-titled album in 2010. Genre defying and game changing, Polar Nation takes polar opposites and melds them together in a unique blend of Rock, Hip-Hop, Electronica and Rhythm and Blues. Polar Nation are Aki Redbird, Matthew Charles and Samson. Reminiscent of sounds your spirit knows, Polar Nation will shock you into a rediscovery of what urban music is all about. A fusion of dark and light. Of ancient and futuristic. Of earthly yet mystical. Sweeter Fragrance is a raw blues meets reggae meets hip hop blend. From the depths of Berlin, to the bowels of Sydney's inner-west, Numzy serves up hearty blues hooks with a pinch of ragga funk. This boom bap-blues cat delivers a unique experience that fills thoughts and floors. 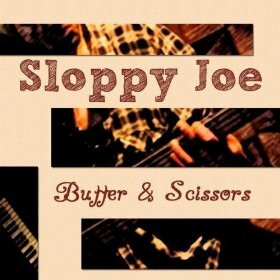 Sloppy Joe is a 3 piece instrumental groove outfit with Michael Wheatley on keys. Sloppy Joe completed a 2 year residency at Sydney Opera House, Opera Bar in 2002/3. Sloppy Joe's lives signature is to mold and remold their sound depending upon the mood of those around. Butter & Scissors is their second album after Joe Mumma. Featuring Paula Baxter on the track "When you Come Round". 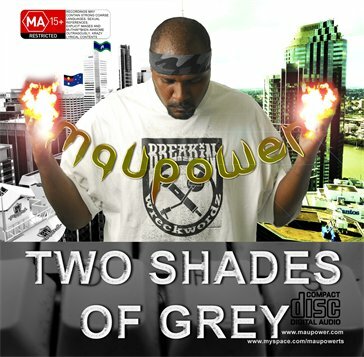 "Two shades of Grey" radiates the raw energy from Maupower - the hypeman of "One Blood Hidden Image". This solo album released by Maupower in 2008 crosses between underground hip hop lyrical energy to RnB, while maintaining the influence of the Indigenous Torres Strait culture and language. With songs like "Rogue Souljah" identifying Maupower's struggles to become the image he is in the hip hop scene to "My Blood My People" sharing his pride to be identified as an Indigenous Australian, in particular a Torres Stait Islander. Ina Maka is a Sydney-based quintet who offer a unique mix of r&b, soul, hip hop and psychedelia. This debut four-track EP clocks in at over twenty minutes and features complex production, a diverse range of instrumentation and well-crafted lyrics delivered with beautiful melodies. Danny G Felix is one of the most exciting young jazz players to emerge in Australia for many years. He is a highly accomplished improviser on piano, trumpet and percussion, and has played with many Australian and international outfits including the Spanish Harlem Orchestra, the Charles Mingus Big Band, and Vusi Masasela. The Danny G Felix Project showcases a fresh genre he calls Urban Fusion. A mix of Neo-Soul, Hip Hop, Big Band Jazz and Afro-Latin music. 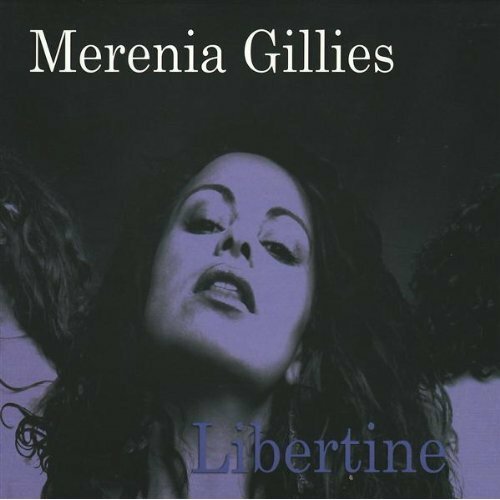 This is songwriting that connects different languages of rhythm and musical sensibilities with strength, smoothness and sophistication.